Keep young riders safe when riding and in the yard with a well-fitting riding hat – we recommend wearing one at all times around horses, not just when in the saddle. 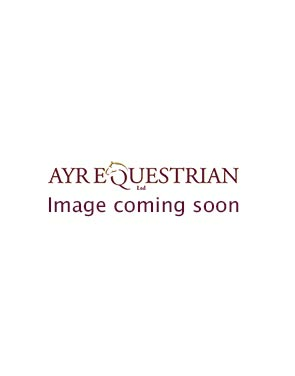 At Ayr Equestrian we have a selection of various styles to choose from. Safety and style both feature highly in our range, as your child’s riding hat will be the most important piece of protective clothing that they need. If you have any uncertainty on what hat size or type you require please see our fitting guide for more information. The Charles Owen Young Rider’s Skull is a popular helmet for the beginner rider. Complying to two safety standards, it provides the same amount of protection as the adult version. The helmet is light weight and has a slim-look with an easy to fasten and quick release strap. Skull hats can be accessorised with coloured hat silks, adding a bit more personality to your child’s helmet! These come in various bright and fun colours. We also stock classic look suede and velvet riding hats suitable for children. These hats look great when schooling, and are also suitable for those who want to enter competitions. We also have a choice of hats that feature glitter stripes in the middle of them, for any young rider who wants to stand out! Remember that a riding hat should fit snugly and stay in place without the harness being buckled.